If you need to add more living space to your Guttenberg home, J & A Construction NJ Inc can renovate or refinish your Guttenberg basement to accommodate your changing lifestyle. As your family grows, you will need the functionality of your home to change too. Your Guttenberg basement can be so much more than a place to store things. In can add functional space for your family. Whether you need space for your kids, for fun, for work, or for working out, J & A Construction NJ Inc can make it happen. J & A Construction NJ Inc has been remodeling and refinishing basements in Guttenberg, New Jersey since 2016. Your Guttenberg house may have been the perfect size when you bought it. But now you need more room. Whatever your needs, J & A Construction NJ Inc will work with your ideas and within your budget. Call (201) 371-6061 to get started. Your basement is a diamond in the rough. Your Guttenberg unfinished basement has walls, a ceiling, and a floor. Now, it needs purpose. J & A Construction NJ Inc basement remodeling contractors in Guttenberg include a highly skilled staff of carpenters, electricians, and plumbers to handle any size Guttenberg basement renovation project. From painting, flooring selection and installation, insulation, lighting, heating, plumbing, and any finish carpentry work, J & A Construction NJ Inc will transform your Guttenberg unfinished basement into added living space for your family. 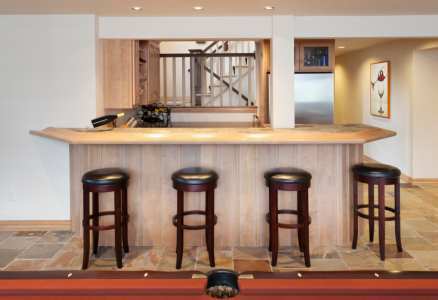 Let J & A Construction NJ Inc reveal your basement’s hidden potential. Make your home more livable. Renovating the basement in your Guttenberg, New Jersey home is a smart investment that will increase the value of your Guttenberg home and improve the quality of your life. Create your own personal comfort zone in the privacy of your Guttenberg house. J & A Construction NJ Inc has been in business for 3 years, specializing in renovating Guttenberg basements and making dreams come true.